There is, occasionally, a problem in transferring a play from the stage to celluloid. 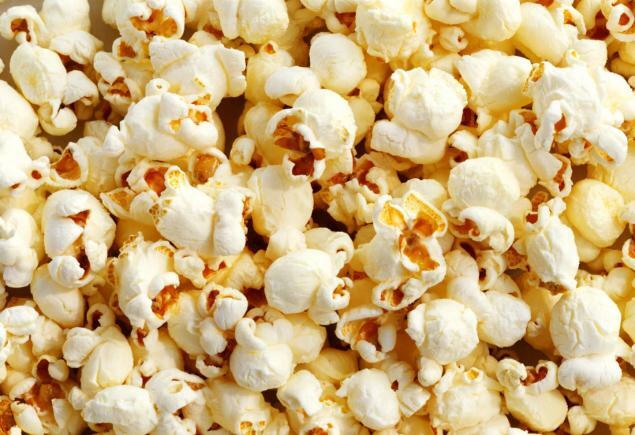 Carnage back in 2011 suffered from this, feeling exactly like you were watching a play rather than watching a film. 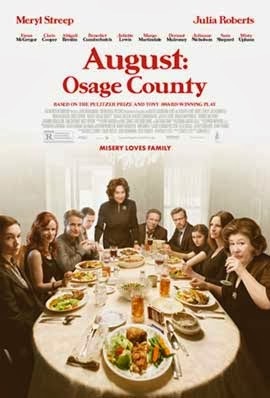 August: Osage County at least feels like it is a film, but there are other aspects of the production that leap out and remind you that this was previously on the boards and came with an interval and ice cream. But I'm getting ahead of myself. Let's start at the start. Or scene one, if you will. Written by Tracy Letts (who also handled screenplay duties), August tells the story of a family brought together by tragedy, who then have to face some home truths and get airs cleared. Starring, among others, Meryl Streep, Julia Roberts, Juliette Lewis, Sam Shepard, Chris Cooper and the wonderful Margo Martindale, the action basically takes place in a house - with the odd break for a toddle in the garden. And the performances are stunning. Dermot Mulrooney aside (he's essentially playing Dermot Mulrooney), there's not a bad apple in the whole barrel, and as laughter and tears flow freely you're enrapatured and convinced. And in places it is very funny - in particular Chris Cooper saying Grace; Elsewhere, heartbreaking and poignant. But it's clear very early on that Letts likes a Tennessee Williams play or three - and this becomes more apparant as the film goes on. Along with many a mention of the heat, there are sections of dialogue that just seem to leap from a Williams text. I'm not suggesting plagarism, but the tone, rhythm and style all have his DNA in them. Now, this may work well on the stage (and the success of the play suggests it certainly does), but it's a step too far to try and shoe-horn such word-heavy passages into a more contemporary format. It may not bother everyone, of course. A bigger issue is the direction. Handled by John Wells (whose only other film was the disappointing The Company Men), you are left with a feeling that you get the over-view but no detail. There are times when you really want to be in close - especially when Roberts and Streep and going at it hammer and tongs - but you are kept at a distance. The same distance from which you watch three sisters trying to reconnect. What should be passionate, touching scenes are left feeling slightly cold. Which is a shame. I also have an issue with the continuity (watch this and keep an eye on Streep's disappearing ciggies), but I fear this is starting to get a bit negative. While there are problems with this film, the look of it is great and the performances - as I may have mentioned - are excellent. Roberts as the elder sister, Lewis and Julianne Nicholson as her siblings, Benedict Cumberbatch as the cousin, Ewan McGregor as Roberts' estranged hubbie - they are all brilliant and faultless. But for every high, there seems to be a low, which takes the edge off a tad and leave you wishing you'd seen this lot performing August: Osage County on the stage.